Philip Smith, a former Ulster Unionist MLA for Strangford. Sinn Fein’s mission is to end Northern Ireland. Their military wing, the Provisional IRA, spent 30 years trying to destroy it through terror. They failed, and republicanism finally migrated to the primacy of politics during the Good Friday Agreement process. For ten years Sinn Fein worked within Stormont and the NI Executive, but the slow pace of change, the responsibilities of government and the growing contentment of a sizeable majority of people, created frustration within the Republican movement. Three events combined which changed the political environment and provided Sinn Fein with an opportunity to escape its Stormont straightjacket. Firstly, Brexit rocked moderate nationalism’s model of a working Stormont combined with a long-term aspiration for Irish unity. Secondly, Arlene Foster’s mishandling of the RHI scandal gave Sinn Fein the perfect excuse to withdraw from the Executive pulling down the political institutions. Thirdly, Martin McGuinness’ illness weakened the party’s greatest defender of the GFA structures opening the door for the Republican hawks to act. Since the fall of Stormont Sinn Fein think they have increased political capital which they take as vindication for their decision to bring down the Executive. In addition, they have developed a campaign for an Irish Border Poll, providing a political goal and ratcheting up tension at the same time. How are unionists to engage and work with a political partner whose very purpose is to pull down everything that they hold dear? How do they robustly oppose Sinn Fein’s agenda yet also widen unionism’s appeal to the decisive center ground? This is unionism’s conundrum. The DUP, who have been the leaders of unionism for the past 15 years, have failed to produce a solution. DUP support for a Brexit at all costs has invigorated nationalism, and recent polls have shown that it has also alienated many in the pro-European center. .The DUP has actually driven the deterioration in unionism’s position. Look at the evidence: Under DUP leadership unionism has fallen below 50% of votes cast in both Assembly and Westminster elections. In 2017 unionism lost its majority for the first time in the history of Northern Ireland. The DUP portray themselves as the only barrier to Sinn Fein obtaining greater power. Yet under the DUP’s leadership, Sinn Fein has prospered, growing from 21% of the vote to just under 30%. DUP tactics of ‘crocodiles,’ removed Liofa Gaeltacht grants and juvenile insults have strengthened Sinn Fein. The DUP’s hardline attitude on social issues has reduced support for the Union amongst younger and more centrist/liberal voters. Research by the University of Liverpool shows that pro-Union Protestants under the age of 40 have more liberal attitudes than both Catholics of a similar age as well as their older co-religionists and that DUP policies are driving away active support for the Union. Last, but not least, the DUP track record of scandal and incompetence from NAMA to RHI has also driven away support for our devolved political institutions. A “new unionism” is needed to effectively challenge Sinn Fein and widen the appeal of unionism. It must grow support for a pro-Union vote and improve government in Northern Ireland. 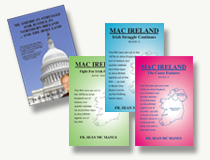 To succeed unionism must be able to balance four challenging and potentially contradictory goals. Firstly, it must open up, become outward facing and effectively engage with the wider community. Unionism should be broad and inclusive not narrow and tightly defined. People should be encouraged to define as a unionist no matter their religion, race, sexuality or age. Secondly, we must sell the Union to the political center ground. Unionism must accept that social values are changing in Northern Ireland and must now better represent those evolving attitudes. Unionism’s goal must be to develop a modern, successful society with a dynamic economy that benefits from both being an integral part of the United Kingdom and having a fluid economic and social relationship with the Republic of Ireland. This is a product that can be sold to the widest audience and must also be the test for any Brexit proposals. Third, there is a huge demand from the public for better government. Potholes and health service waiting lists are the immediate cause for concern for most. People say they want change, which they want Northern Ireland to move on and local politicians to work together to build a better society for all. If that is true, then it is time that they voted for hope, not fear. Sinn Fein is likely to be part of any future Executive. Unionism must endeavor to work with Sinn Fein to improve government in Northern Ireland. Despite their overall mission to end Northern Ireland and demands for a Border Poll, it must still make sense in the interim, for Sinn Fein to work for the best interests of their electorate by making government here work? If not, then fourthly, unionism must robustly defend the constitutional integrity of Northern Ireland and the economic and social well-being of all its people. If Sinn Fein wants to destabilize and continually push their selfish agenda to the detriment of political stability and economic prosperity, then unionism must stand up for the vast majority here who want Northern Ireland to succeed.